And here it is, my favourite design of 2018! For those that have visited the Vatican City the sight of the wide-brimmed, black priest's hat is a familiar one and here this iconic shape has been inverted to form the most beautiful bowl imaginable. Made from stoneware, fired at 1200 degrees to make it incredibly strong, the exterior and broad rim is the textured colour of sandstone while the interior has a smooth, retina scorching coloured glazes of orange, aquamarine or magenta. 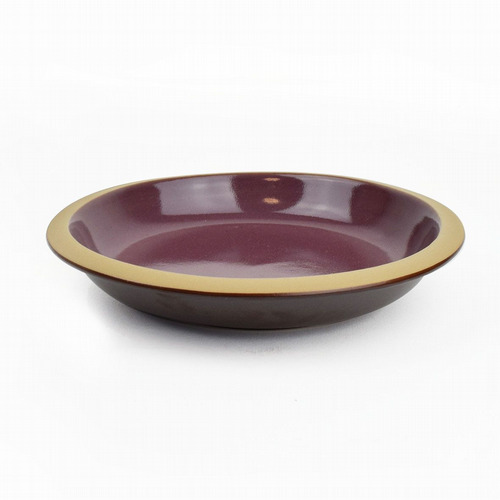 They can be used for hors d'oeuvres, puddings or very chic nibbles or just placed in a prime position.